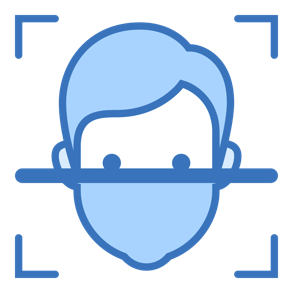 "Great demo app for facial recognition "
This app , although a demo, works fast and it has great detection. It can clearly identify the correct person that is scanning at the moment. There is no faults as it can clearly be used to replace password issues. There is not much to dislike, maybe have it be more specific to sides of the face. Not really a issue, but it can benefit from this for quicker access. I do not know if there is any technical faults with it as I only used the demo version and not the full service . It is a great app for a work setting. This can improve your business and make it stand out. As a business app it can be used to detect a workers face , instead of a password on a device you can use your face for this reason. It work great like the phone that can open by simply scanning your face. I would recommend this for any office work. While most facial scanners are generic. It is ahead of the curve of actually working and picking you your face. Whether you're wearing glasses, hat, it is a nice change. Most facial scanners can be accessed if you try long enough. The security isn't there in the industry yet. Having another wall of security is super beneficial to our company. The benefits of having a facial scanner that is ahead of most of their applications. It did not always recognize my face when logging in or attempting to access the software. The problems that it has helped solve relate to security within a company's server and hopefully deterring hackers from violating security measures. proactively detect and deter threats, real time detering of these threats. If you're looking for a a safer and more personalized system this is a great facial recognition tool. * We monitor all Valydate reviews to prevent fraudulent reviews and keep review quality high. We do not post reviews by company employees or direct competitors. Validated reviews require the user to submit a screenshot of the product containing their user ID, in order to verify a user is an actual user of the product. Hi there! Are you looking to implement a solution like Valydate?